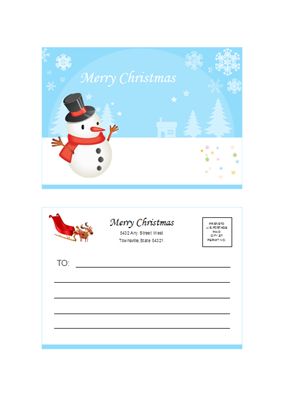 Design a postcard easily on your own in powerful software. Visualize your own creative ideas and do it yourself to gain distinctive postcards. Can't find a desired postcard? 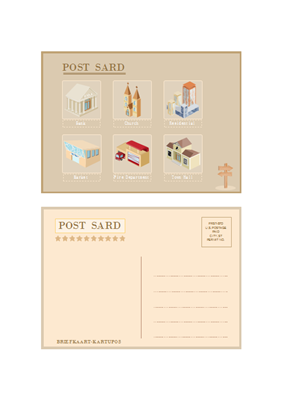 Just do it yourself in postcard design software. It helps you visualize your ideas in an amazingly easy way. Show your feelings by inserting photos or images. To save time, just select a ready to use template. Apply handy built-in shapes to design your unique postcards. Choose from over 10,000 shapes. Along with advanced drawing and formatting tools, you can gain numerous possibilities. Just tap your potential and explore your creativity freely. Start Edraw. -> Choose Card under FILE menu. -> Double click Postcard. In our software, the built-in shapes support drag and drop function. It saves lots of time. If you need more shapes, enter the name of the shape into the search box and search it. 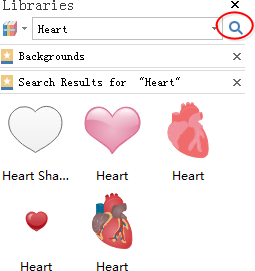 For example, we can search all the available heart shapes and display them to the left of the canvas. 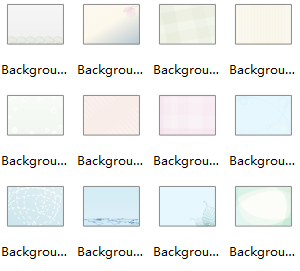 You can use our built-in backgrounds or insert any local picture as the background. Send your greetings with nice vector text that can be filled with various patterns. Switch to INSERT menu. -> Click Vector Text. -> Enter your contents. -> Hit on Ok. -> Edit the vector text. Switch to INSERT menu. -> Click Picture. -> Browse your target photo or picture. -> Hit on Ok. -> Edit the image. 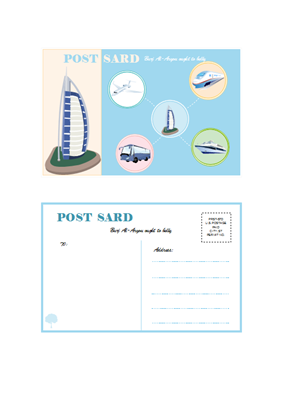 Note: Export the postcard into easily sharable formats like JPG and Word. 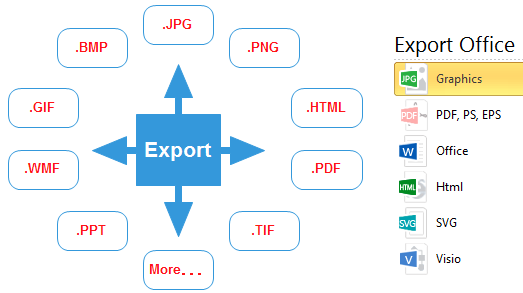 Edraw gives you multiple choices to export the card. 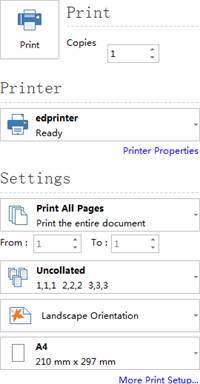 Click FILE tab, select Print. Choose your desired Print options and hit on Print button. Here are some nice postcard examples created by the postcard software. You can get started quickly with these examples. Click on the relevant picture to view large version or download it. 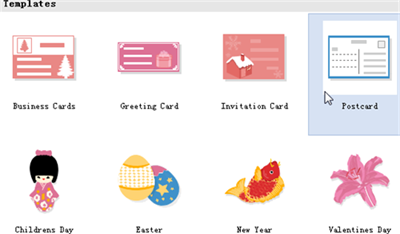 Download Edraw and experience the easiest and fastest way to design Postcards.